Chances are you already know that Costa Rica doesn’t really have a Halloween scene. Still, some people visit their loved ones at the cemeteries every Nov. 2 and celebrate a special mass. But that’s about it. So, without the house-to-house trick-or-treat tradition, Halloween has evolved into an almost exclusively adult nightlife celebration. Either way, your costume will probably disintegrate all over the dance floor, so be ready to comfortably dance. Most parties will be held this weekend, but some others will be on Nov. 2-3. You can get some tickets on pre-sale with price ranges that go from ₡4,000 (about $7) to around ₡7,000. Plan beforehand because tickets will be pricier if you buy them at the last minute. I would know: I’m writing from hellish experience. In Barrio Amón, the cultural complex El Sótano (four blocks north from Automercado at San José) will have its biggest party on Nov. 3 at 8 p.m. 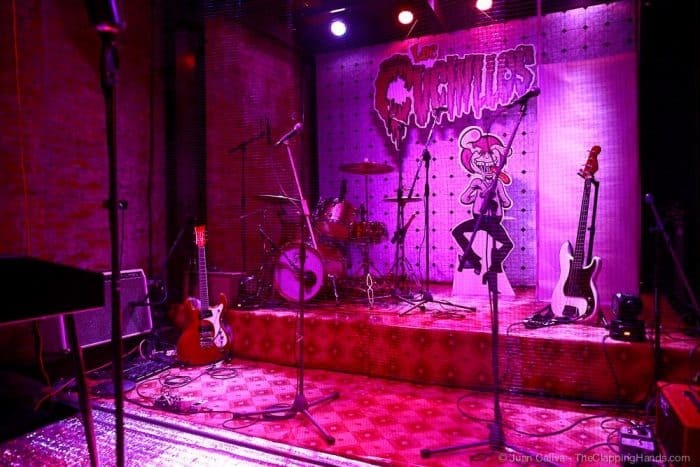 The local band Los Cuchillos will be at their best when they play rockabilly surrounded by fake cobwebs. They’ve been doing it every year nonstop for more than a decade. This year there will be guest DJs and a mandatory costume contest. Tickets for the party can be purchased at the Steinvorth building, at the Twistin’ Bones record store. 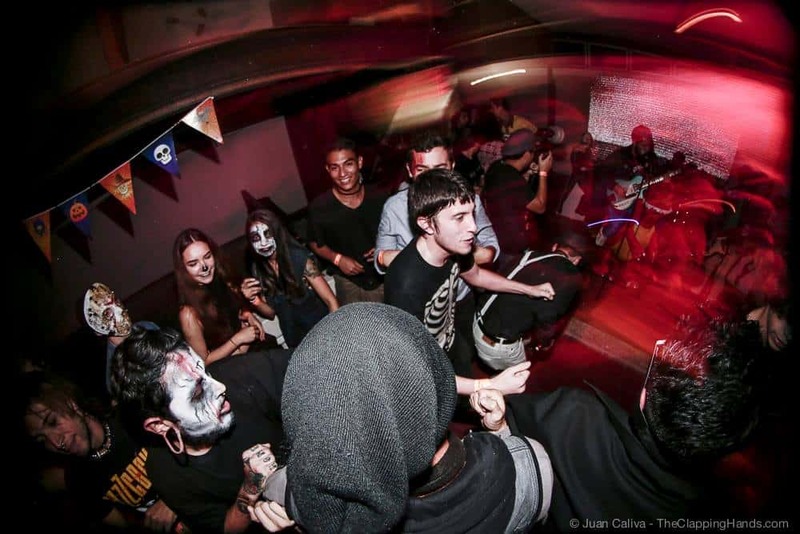 But El Sótano will also hold a smaller party on Oct. 27 hosted by another local rock band. That night, starting at 8 p. m., pop-rock duo Half Tangerine will be playing live and also handling prices for the three best costumes of the night. That same night, two places will be competing with Halloween bashes at Barrio La California. Casa Félix, la Concha de La Lora y Mercadito La California — 25 meters north from Bomba La Primavera — will be joining forces to throw a huge party at Sanatorio La California from 9 p. m. to 6 a.m. They will arrange five stages with dance music that will include Latin charanga, electronica, and hip-hop. The cheapest tickets are already sold out at Yapp, so you can either buy the ₡11,000 one or the VIP ones that cost ₡22,000. Every ticket will get you six drinks. The only difference is where and with whom you will be seated. Their costume contest prize is also the juiciest because they are offering ₡250,000 in cash. Nightclub El Wok, just across from Bomba La California, will offer the Halloween edition of their infamous Sad Boys Club bash. They will be giving out Bad Bunny tickets as costume prices. The best one will be having two VIP tickets and the second place will get two single ones. You can buy the Sad Boys Club tickets at Yapp because they usually don’t last until the day of the party. Trust me on this one. Later, El Wok will host the DNCFLR party, but this year the DJs are planning a thematic Día de Muertos on Nov. 2. Tickets will be sold at the entrance, so don’t stress about that one. Over this weekend, Antik will be the last nightclub to close up at 7 a. m. on Oct. 28. It’s also just four blocks south from El Wok. Convenient, I know. They are planning a big house music party with Detroit DJ duo Golf Clap. They will be receiving reservations beforehand at 7204-9909 but if you want to, you can also get in line before DJs play around midnight. For the ones that don’t like staying in one place for the night, there is also the Carpe Chepe option. 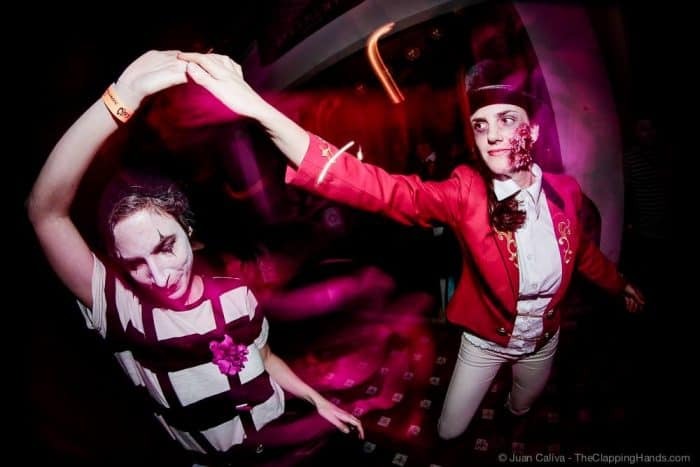 Carpe Halloween is a tour that will take you to four bars without paying any extra cover. The ₡15.000 ticket covers four shots, complimentary cocktails, and experienced city guides. They’ll meet at restaurant Gallo Pinto 506 in Barrio Escalante at 7 p. m. on Oct. 27 and take it from there. But you should pay in advance and stay in contact with the organizers through their mail info@carpechepe.com or cellphone 8347-6198. Sound advice from a fellow partygoer: no matter where you stay, it’s wise to be extra careful with your belongings. Several friends of mine have lost their cellphones over Halloween. Also, stay close to your costume-clad friends. We don’t pass out in candy San José, but we do have a lot of fun.